Catering to the local community, The Pine Cone is the only restaurant in Bayfield featuring burgers, ice cream, and other treats on its menu. The Pine Cone Menu features a wide variety of customized American classics. One might come for a cheeseburger, fries, and an ice cream cone and end up with the Big Piney, waffle fries, and an Oreo Shredder. 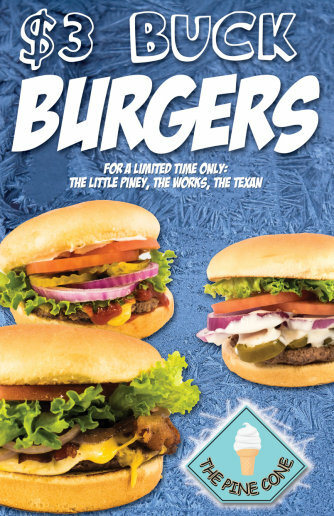 Tasty foods include burgers and sandwiches, appetizers, salads, and dinner baskets. 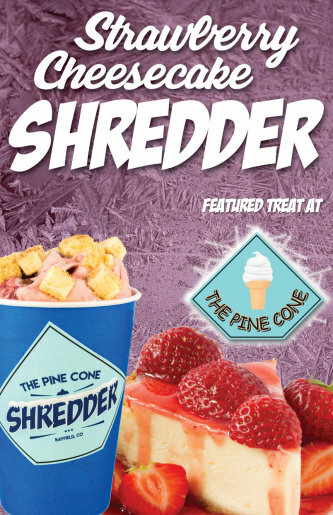 Items from the treats menu include cones, dipped cones, sundaes, Treats from the Peaks, and our newly famous Shredder. We love being a part of our local community. 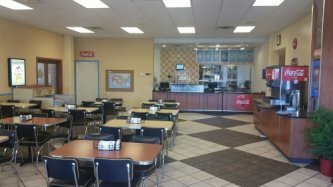 With a convenient location on Highway 160 next to the Mini Merc in Bayfield, members of the Bayfield, Ignacio, and Vallecito communities and those passing through can easily stop by for high quality dine in or take out American cuisine. We greatly enjoy the opportunity to serve families, students, sports teams, first responders, and church fellowships by creating a welcoming atmosphere of friendly attitudes and speedy service.